SEEING Def Leppard has been worth a 30-year wait. Since fourth album Hysteria dropped in 1987, and had this then-teenage reviewer bopping in his bedroom, the band and I have never managed to cross paths in person - until tonight. It's a definite tick off the bucket list after experiencing a gig crackling with equal parts nostalgia, spectacle and master craftsmanship. 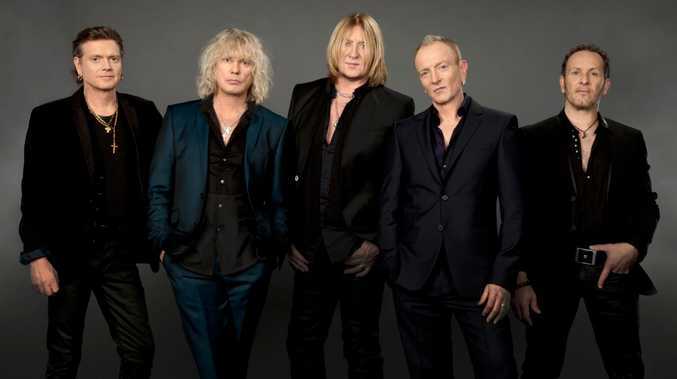 On their 2018 Australian tour, Def Leppard mark three decades of their seminal hit-loaded album Hysteria by playing it in order, from go to whoa. 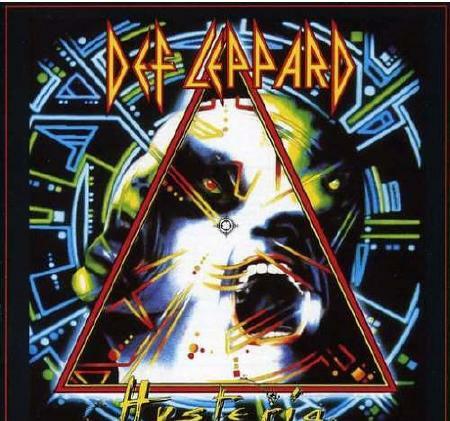 Of their 11 studio albums, Hysteria (produced by Mutt Lange, who's responsible for some of AC/DC's greatest discs) still accounts for one in four of their 100 million units of record sales to date, and its centrepiece is the song most people associate with the band, Pour Some Sugar on Me. 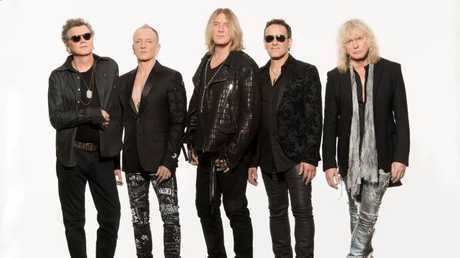 Few bands have managed to maintain their core line-up for so long, but the UK rockers - now mostly in their late 50s - are still fronted by Joe Elliott, voice and glorious mane seemingly unchanged from the glory days, bouncing on stage in a gold-brocaded military-style jacket. Drummer Rick Allen has a special affinity with the Hysteria material - over three gruelling years, while making the record, he re-learned his craft after a car crash took his arm. It absolutely shows tonight - the big-screen shows Allen is at times laser-focused, and at times grinning from ear to ear. The band know these 12 blockbuster songs inside out, which lets them have a little fun and play with the material without compromising what most of the crowd here tonight have come to hear - like feeding a little taste of David Bowie's Heroes into one tune. Elliott is clearly a fan - his t-shirt is emblazoned with Queen Elizabeth bearing a Ziggy Stardust lightning bolt. Highlights included Gods of War, with its big crunchy riff, and perennial singalong Rocket, which has the crowd enthusiastically chanting along, while a state of the art video wall blasts images of satellites and lift-offs. That wall also shows the band's journey during the title track, in a moving montage. But the aforementioned signature saccharine anthem is the apex of the show, as strong a mission statement for this band as any - little bit metal, little bit glam, little bit Queen, little bit risque, and all authentic. Guitarists Phil Collen - still enviably fit and shredding shirtless at 60 - and Vivian Campbell get their chances to shine during the set, taking the spotlight for several solos and bouncing off each other's energy. Before Gods of War, the band take a moment's silence to honour late guitarist Steve Clark, who passed away just after Hysteria dropped, when the band were at the height of their fame. It's a moving moment, especially when Collen then launches into the part Clark originated on the Hysteria album. The Hysteria set flags a little towards the end, with fewer bona fide hits towards the back of the album - and to be honest things are a little flat by the time the unremarkable Love and Affection closes things out. With Hysteria complete, the band leave the stage, but Def Leppard were never going to get away without an encore of hand-picked greatest hits - and the crowd know it. Steaming straight in with classic Let it Go, which predates the Hysteria days, they cool things down with lighter-waver When Love and Hate Collide, then launch into Let's Get Rocked, the cheeky, bouncy number that kicked off their 90s era. 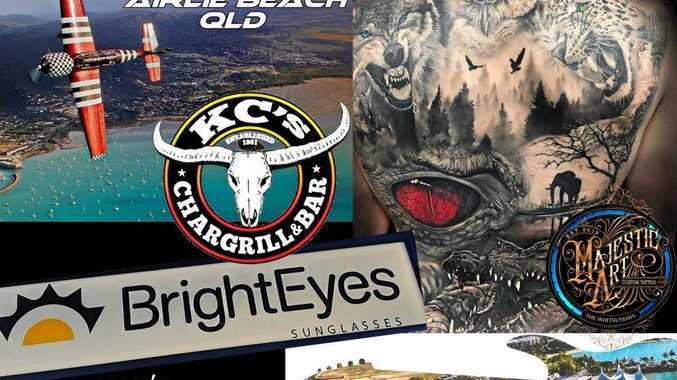 The band bid Brisbane farewell with a one-two punch from Hysteria's predecessor Pyromania: biggest hit singles Rock of Ages, and evergreen fave Photograph. Not many bands have the spandex-clad balls to replicate a hit record live, start to finish, but in this case it's a show for the ages: at once an introduction to, and a celebration of, a band who've managed to stay the course through tough times. Def Leppard were supported tonight by their 'big brothers' - 70-year-old Klaus Meine's German rockers Scorpions, formed a full decade before Leppard - on, unbelievably, their first tour of Australia. The audience were clearly hanging out for best-known hits Rock You Like a Hurricane, which closed their set, and Glasnost-era power ballad Wind of Change, but the band won some Aussie hearts with a solid set of rock classics.